Hands up who loves paperwork? We know you run a safe working environment. We know you want your staff and stakeholders to be working in a safe place. It’s simple, right? But having all the paperwork - the legal side - taken care of can be such a huge headache. Well not anymore! When you certify your safety management system with us, you’re not just looking out for current staff. 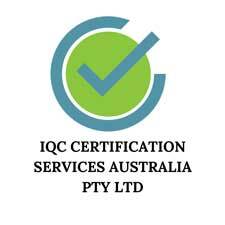 At IQC we take the pain points out of getting that pesky paperwork taken care of, so everyone in the business gets on with it pain free. “But I don’t have time to get my business certified!” You say. Nonsense! With IQC, we make the assessment and management of your OHS system easy. Whatever stage your business is at, our ISO 9001: 2015 Quality Management System (QMS) Standard, demonstrates that you comply with a Workplace Health & Safety (WHS) Standard management system. Our certification process is hassle free, helping you keep your employees safer and preventing nasty costs from accidents, injuries and sick leave. No matter what your business, making safety a priority doesn’t have to be painful. When you leave the certifying process with us, you can get back to business.